The 980 Series “Impacta” is a revolutionary screwdriver that features a built-in impact driven screw removal function. The proprietary tang-thru nut incorporates a cam rotation mechanism, which turns the driving tip counter-clockwise by 12⁰ when the rugged steel endcap of the handle is struck with a hammer. The “Impacta” leverages impact acceleration to remove painted, stripped, rusted, or stuck screws. 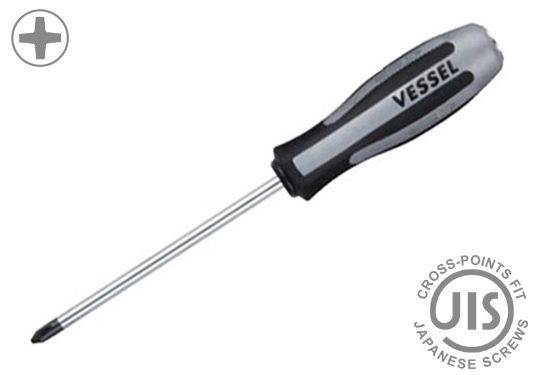 These screwdrivers are suitable for professional use such as automotive repair and maintenance, electrical, construction, industrial/machine work, and general fastening applications.